To develop healthy children, create strong families, build engaged communities, and speak and advocate for children. Outcomes: Providing a safe and secure place for children, creating nurturing and stable families, contributing to educational success and social, emotional & physical well-being. Every family faces challenges. We will help you build a stronger family through communication, stress management, parenting and problem-solving skills. Headquartered in Seattle, Wash, we have 18 locations in Washington state. Serve nearly 30,000 children and their families. 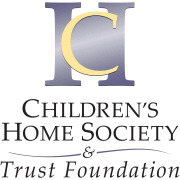 Children's Home Society of Washington accepts donations. Donate Now. Would you recommend Children's Home Society of Washington?